Our warehouse is located in an industrial compound and the security is managed by Manila Mahogany Marketing Corporation. 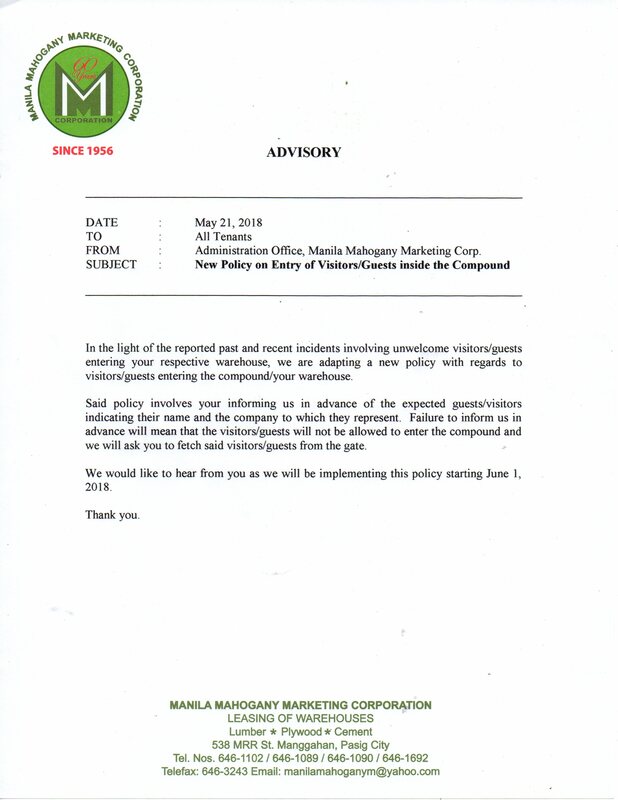 Due to incidents involving visitors and guests, the management of the compound is implementing a new policy on visitors and guests entering our warehouses. To our customers who are requesting to pick up of their boxes, please coordinate with us at least 1 day before the intended date of pick up. Our pick up time in our warehouse is from Monday – Saturday 1:00 PM – 5:00 PM only.